I can’t believe Halloween is almost here! On holidays, I love making special breakfasts for my daughter for a fun start to the day. 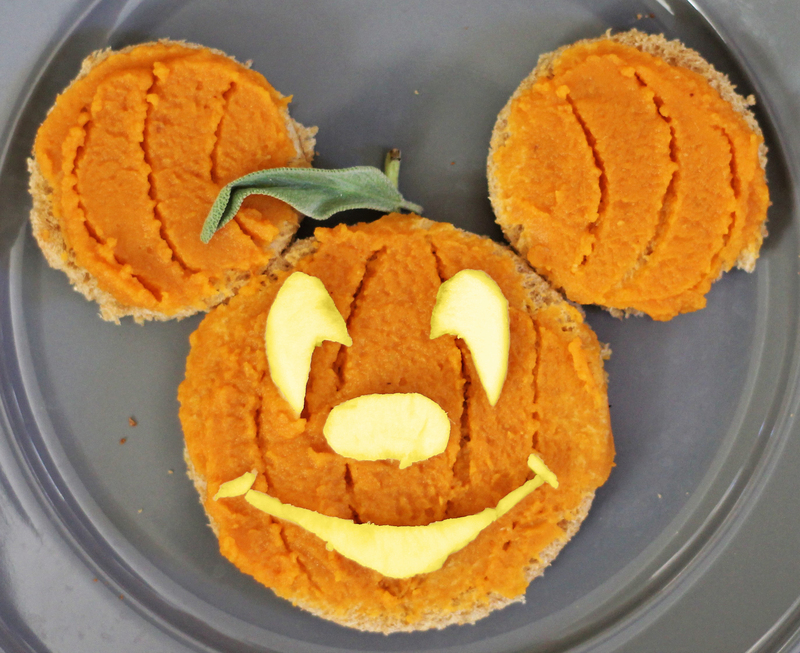 This season, I created a fun and simple Mickey Mouse Pumpkin Toast to make for her on Halloween morning, and now I’m here to share with all my Disney-loving readers for a fun yet healthy treat idea at home. Use a circle cookie cutter or knife to cut a large circle out of one piece of toast (This will be your Mickey head). Use your other piece of toast to cut two medium circles (these will be your Mickey ears). Use a peeled apple to cut out a Mickey jack-o-lantern face (nose, eyes, and smile). Spread pumpkin butter on your three circles, and place on the plate in a Mickey shape. Use a toothpick to draw lines on your toast to make it look like the texture of a pumpkin. Place your apple slices on top for his face. Use a mint leaf to place on the plate as a garnish and to look like a Mickey pumpkin stem. Enjoy a ToMATER Sandwich for National Sandwich Day!